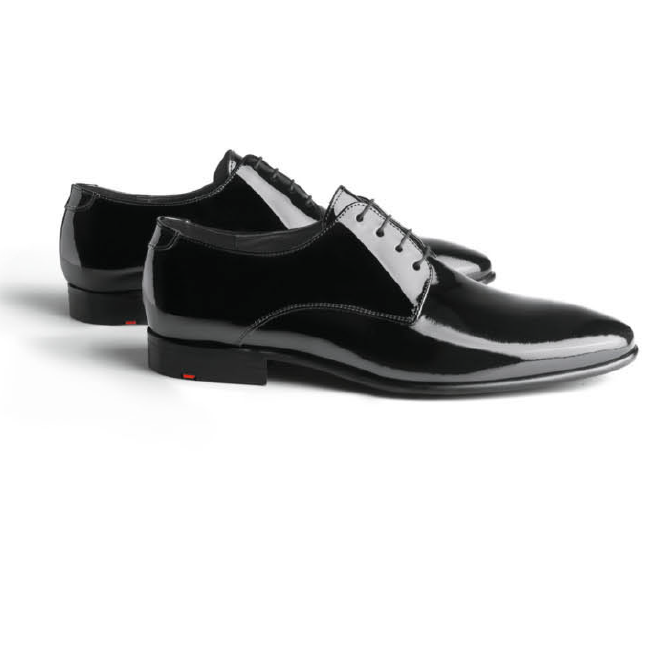 Beautiful formal patent leather plain toe lace up shoes. Leather sole. Made in Germany.